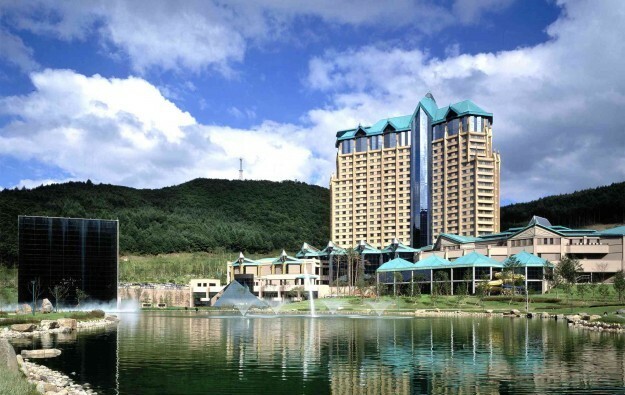 Kangwon Land Inc, the only casino operator in South Korea authorised to let locals gamble, announced on Thursday that Moon Tae-Gon has been appointed as chief executive of the company, with effect from Friday (December 22). Mr Moon replaces Ham Seung-hee. Mr Ham recently completed a three-year term as chief executive of Kangwon Land. The appointment of Mr Moon for a three-year term was decided on Thursday at a shareholder meeting. He previously worked for South Korea’s Board of Audit and Inspection, later moving to Samsung Life Insurance Co Ltd.
Kangwon Land (pictured) – based in a remote upland area 150 kilometres (93 miles) from the capital Seoul – posted a 10-percent decline in revenue for the July to September period. JP Morgan Securities (Asia Pacific) Ltd stated in a Sunday note that Kangwon Land was likely to see annual growth in its casino gross gaming revenue (GGR) further constrained, as the South Korean government seeks to limit revenue expansion for all forms of locals-focused gambling. JP Morgan already had said in an August note that the casino operator was under political pressure to moderate the growth of its revenue. In early December it emerged that a former chief executive at Kangwon Land had been formally arrested on charges of influence peddling while in post. Choi Heung-jip, who led the state-run enterprise between mid-2011 and early 2014, was accused of hiring favoured and sometimes underqualified people to work at the Kangwon Land casino resort ahead of other job candidates, at the request of politicians or other people of note.